Most of us have, at some point in our lives, thought of opening a restaurant. Especially during a long delay in service, or when the food served has been too salty, or worse, undercooked or overpriced, we have disdainfully shaken our heads and said, “If I were running this restaurant…”. But of course, it’s easier said than done. 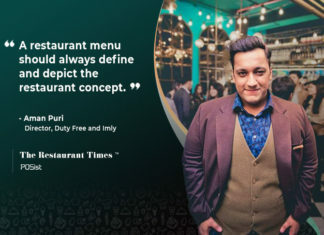 Running a restaurant is indeed a tough job, and there are many challenges in running a restaurant in India. The most restaurants fail within the first year of operations. Even if you decide to sit behind the cash counter yourself, there are still hurdles that plague restaurant management. No one would tell you the tougher side of restaurant management when you decide to take the plunge. Here we have compiled for you the challenges you may face while running a restaurant and the things you can do to avoid them. A restaurant is primarily known for its food and services. You need to have an expert chef whose cooking would lure customers to the restaurant. And you need a well-trained staff whose efficiency and hospitality charms the customers even more. 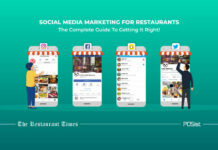 A restaurant faces more competition than any other business. This is because (as mentioned previously) everyone thinks they can run a restaurant and don’t hesitate in realizing their dream. Restaurants emerge and go out of business regularly. Therefore, the attrition rate of the staff is quite high. Added to this, are the long and tough hours and meager pay. Junior level staff have been known to switch jobs for as low as Rs 500. Acquiring and retaining good staff is a top concern and one of the biggest challenges in running a restaurant. Developing a good work culture and giving employees benefits helps a lot in retaining them. Read these tips on how to keep your restaurant staff happy and motivated here. A mouthwatering menu with delicacies is a sure way to attract customers. However, delivering the delicacies is a feat that many restaurants fail to master. The simple menu seems like just a piece of paper with all your food items listed on it, but it is so much more than that. The customer looking at a menu decides what he wants in 107 seconds before defaulting to the easiest option. The colors, the order in which dishes are listed, and even the font of the price matters. Often restaurateurs fail to price the menu the right way or make mistakes in the placement of the items. Also, if the menu is too long and complicated, the customer might get confused. It also becomes difficult for the chef to prepare a wide variety of dishes in a limited time. A complicated menu requires varied raw materials that might turn bad if not consumed timely. 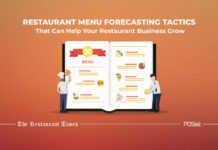 Find out how to create an attractive and efficient restaurant menu design here. 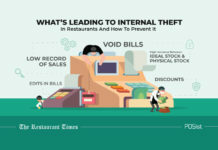 From inventory thefts to on-counter thefts, thefts at restaurants take many forms and is quite challenging. No matter how many strict rules you implement, and how many CCTV cameras you install, pilferage is something that seems virtually impossible to avoid. Unless you’re willing to sit behind the counter yourself and monitor all activities, it is challenging to avoid on counter thefts. Keep a precise check on all your restaurant operations by viewing the daily reports. Assign roles and permissions through the POS software. Most restaurants find it difficult to maintain consistency in their service. When the restaurant opens, the food is excellent, and so is the service. With time and difficulties (read dwindling funds), the standard goes down, eventually driving the customers away. This mainly happens because of the lack of standardization in the restaurant in terms of operations. Everything, right from your restaurant’s Vendor Management to the Recipe Management, should be standardized to maintain consistency. Find out how maintaining consistency increases customer loyalty and improves sales. This is perhaps the most common challenge in running a restaurant and especially while expanding. The first outlet may become a huge success, but more than often, even the management doesn’t know how it happened. It seems like a combination of hard work and luck that leads a restaurant to flourish. Most restaurants don’t know how to replicate their success while branching out. 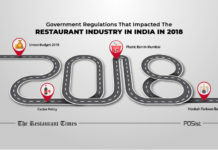 So, keep in mind these top challenges in running a restaurant business in India the next time you feel the urge to open a restaurant and do your best to tackle these hurdles skillfully. Rating: 5.3/5. From 3 votes. All of these tips are amazing! I really like the idea of planning the menu with a good number of the same ingrediants. That will helps with costs in the beginning for sure. Thanks for sharing! Do check out our other articles as well; we have some awesome tips on controlling restaurant costs and food costs. All the information given was really helpful for my knowledge. I would appreciate if you provide information on p&l and costings. 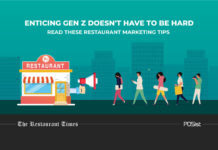 Can I please have your points on the customer service challenges restaurants are facing today? There are several major challenges of running a restaurant in India I am glad you have mentioned them. It surely gives a headstart to all the budding restaurateurs. First impressions are important. Poor customer service is often a deal breaker for customers. Your food may be outstanding, your table settings exquisite and your ambiance delightful, but if your service is bad, customers will remember. Great Read. There are a lot of challenges that the restaurant industry faces. 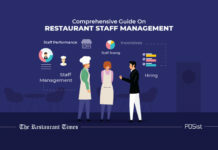 The operations will not always flow smoothly, but once the owners learn to deal with it, running a restaurant might get easier. The points mentioned above are moreover very helpful. Great Work. Hiring the right staff is the biggest challenges of running a restaurant. There is a lack of skilled staff, and the turnover rate is also very high.